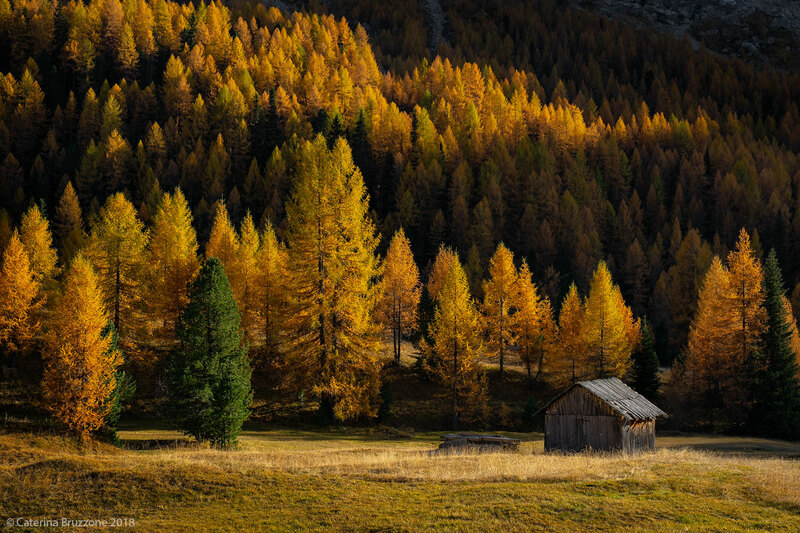 Autumn in San Nicolò sent on November 08, 2018 (10:48) by Caterina Bruzzone. 128 comments, 2419 views. A Marvel Catherine, your autumnal photos are one more beautiful than the other!!! This in particular I like more than the others, conveys an incredible inner peace, I imagine sitting on the grass to enjoy this spectacle in the silence and peace of nature, hats!!! Hello, Stefano ;-) Una meraviglia Caterina, le tue foto autunnali sono una più bella dell'altra!!! Questa in particolare mi piace più delle altre, mi trasmette una quiete interiore incredibile, mi immagino di starmene seduto sull'erba a godermi questo spettacolo nel silenzio e nella pace della natura, tanto di cappello!!! in autumn those valleys find a peace that in summer is hard to come by. In autunno quelle valli ritrovano una pace che in estate è difficile trovare. We are in Montana and in the uninhabited cottage on the far right has found refuge Billy the Kid, the teenage bandit, fleeing from Pat Garret who is taking him through five states. Pat Garret, (Patty as the KID calls it), is a sheriff of dubious morality, the money of those who pay well, and certainly will choose the option "dead" against Billy the Kid who has repeatedly mocked him. Billy knows it's his last few hours and wonders if things would have been different in case he had been the hero and Pat Garret the killer. Siamo in Montana e nella casetta disabitata all'estrema destra ha trovato rifugio Billy the Kid, il bandito adolescente, in fuga da Pat Garret che lo sta tallonando attraverso cinque stati. Pat Garret, (Patty come lo chiama il Kid), è uno sceriffo di dubbia moralità, al soldo di chi paga bene, e certamente sceglierà l'opzione “morto” nei confronti di Billy the Kid che più volte lo ha sbeffeggiato. Billy sa che sono le sue ultime ore e si interroga se le cose sarebbero state differenti nel caso lui fosse stato l'eroe e Pat Garret il killer.